In 2018 Romanza is proud to renew our partnership with the Gamble Rogers Music Festival which celebrates and commemorates the life and art of James Gamble Rogers IV, hero and international star. GambleFest provides expanded depth and dimension to the opening weekend of St. Augustine’s Romanza Festivale of Arts, Culture and Heritage. 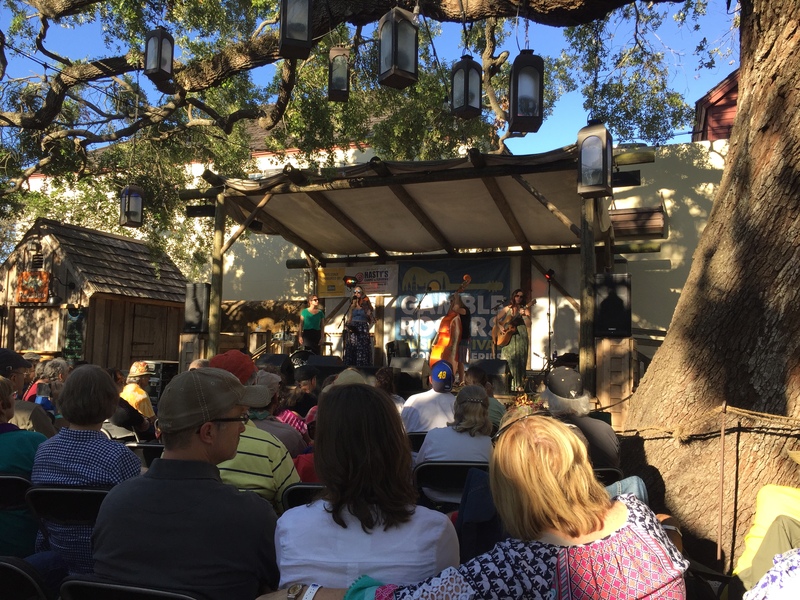 The 23rd annual Gamble Rogers Music Festival will take place May 4 – 6 at St. Augustine’s Colonial Quarter, 33 St. George St. Four stages will feature local musicians, regional performers, national stars as well as activities for kids, student music competition winners and story-telling. Headliners include international greats Peter Rowland and Verlon Thompson. The festival honors the late James Gamble Rogers IV, a singer, songwriter, storyteller and guitarist who balanced a love of balladry and Americana music with a passion for the oral tradition and story telling. Gamble was just hitting this international peak when he died on October 10, 1991, try to save a man from drowning. He was honored posthumously through the naming of a middle school in St. Johns County as well as a Recreation Area. See the schedule and purchase tickets at www.gamblerogersfest.org.